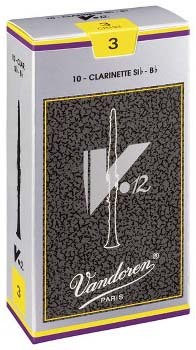 Vandoren is known for making a very consistent reed, so, as a player, you know that you are going to get a good reed each time you open the box. They have quite a few different options and cuts, which makes it that much easier to find the “perfect fit.” This week we are going to focus on the different styles of clarinet reeds that we stock and the features of them. 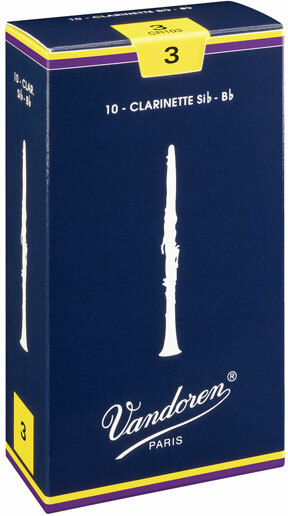 Vandoren Traditional– This is the standard blue box. These reeds are the most widely played reeds in the work. They are suitable for all styles of music. They are known for their excellent response in all registers. Vandoren V12– These reeds are manufactured from reed tubes that have the same diameter as the cane used for Alto Sax reeds. This causes them to have a thicker heal and are cut on a longer palette. The longer palette means that more of the reed is vibrating which results in a deeper, richer sound. It also has a slightly thicker tip than the Traditional cut reeds giving more body to the attack of the notes being played. 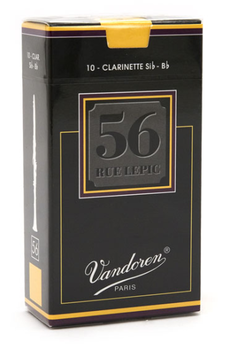 Vandoren 56 Rue Lepic– This style is designed from a thicker cane with a heel taper very similar to German Style reeds. The tone from this reed is rich and centered. It has a pure sound with quick response throughout all of the registers. 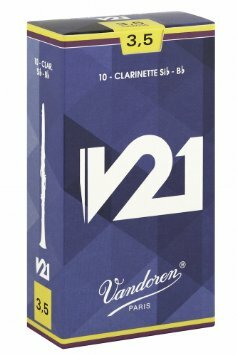 Vandoren V21– This is the newest reed from Vandoren. This reed takes the shape of the 56 Rue Lepic and the profile of the V12 and puts them together. This combination makes all registers of the clarinet more accessible with a warm tone. This also makes the clarinet play more responsive. Lastly, it is the perfect reed for performances that require the player to play large interval leaps while still keeping and even and rich tone.